The Impending World Energy Mess will help educate readers about the realities of energy in general and oil in particular. The reader will be able to cut through the smokescreens that various self interests have, and are, promulgating and understand that there are a number of credible studies that clearly demonstrate that world oil production is close to going into decline, which will create long-term world oil shortages. The huge economic impacts associated with impending oil shortages are brought into sober, balanced perspective and readers are given tools to minimize the impending negative impacts on their personal lives. Finally, The Impending World Energy Mess provides a balanced discussion of the strengths and weaknesses of a number of electric power production technologies, and in particular, the inherent weaknesses in solar and renewable technologies. 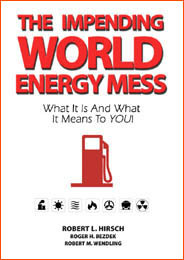 The Impending World Energy Mess provides a practical basis for understanding and personal action. Included in this book is a special Foreword from Dr James Schlesinger - First US Secretary of Energy, Director of Central Intelligence, Secretary of Defense and Chairman of the Atomic Energy Commission. Buy it Now! $29.95 plus shipping Go to Item #96B on the shopping cart. 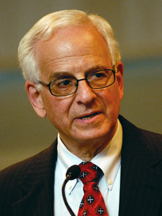 Dr. Robert L. Hirsch is is a Senior Energy Advisor at Management Information Services, Inc. (MISI); a consultant in energy, technology, and management; and founder of AlumiGen, a startup company based on his invention for hydrogen production. Previously, he was a senior staff member at SAIC, RAND, and Advanced Power Technologies, Inc.; Vice President of the Electric Power Research Institute; Vice President and Manager for oil and gas upstream research at Atlantic Richfield Co.; Founder and CEO of ARCO Power Technologies, Inc.; Manager of Exxon’s synthetic fuels research laboratory; Manager of Petroleum Exploratory Research at Exxon; Assistant Administrator of the U.S. Energy Research and Development Administration (Presidential Appointment); and director of fusion research at the U.S. AEC and ERDA. 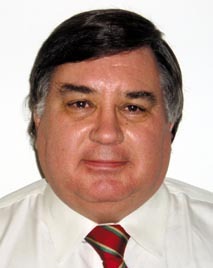 He has over 40 years professional experience, 15 patents and over 50 technical publications. His doctorate is in engineering and physics. Dr. Roger Bezdek in President of Management Information Services, Inc., a Washington, D.C. economic research firm specializing in energy and the environment. 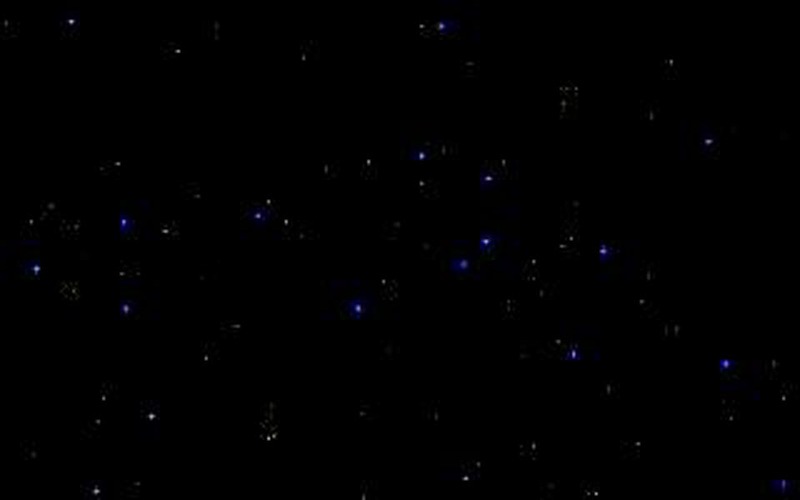 He has over 30 years experience in consulting and management in the energy, utility, environmental, and regulatory areas, serving in private industry, academia, and the Federal government. 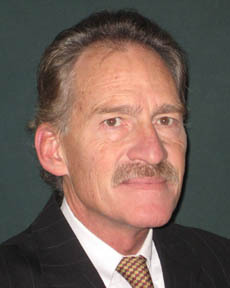 His consulting background includes energy technology and market forecasting, estimating the costs and benefits of Federal energy research programs, assessment of DOE energy R&D programs, estimation of Federal incentives for energy development, energy industry forecasting, creation and management of Federal energy R&D programs, and energy price and market forecasting. Dr. Bezdek has served as Corporate Director, Corporate President and CEO, University Professor, Research Director in ERDA/DOE, Senior Advisor in the Office of the U.S. Secretary of the Treasury, and U.S. energy delegate to the European Community and to the North Atlantic Treaty Organization. He has served as a consultant to the White House, Federal and state government agencies, and numerous corporations and research organizations. During 2008, he presented energy briefings to the staffs of Hilary Clinton, John McCain, and Barack Obama. He as over 300 professional and scientific publications. His doctorate is in economics. Mr. Robert Wendling is a senior economist with 28 years experience in energy technology policy and incentives, economic assessment of energy development, environmental economics, regulatory policy, regional economic analysis, nuclear, fossil, and renewable energy technologies, economic and energy forecasting, Internet and Intranet systems, and modeling and forecasting systems. His consulting background includes economic and employment analysis of the energy industry, simulation of the impact of energy and environmental legislation, managing energy R&D and demonstration projects, assessment of energy technology forecasts, electric utility planning and forecasting, development of environmental impact statements, and assessing the effects of regulatory policies. He has served as CEO, corporate vice president, Director of STAT-USA in the U.S. Department of Commerce and at senior management and policy positions in the Department of Energy. He is the author of 50 professional publications and lectures frequently on various energy, energy and employment forecasting, regulatory, and legislative impact topics. His degrees are in economics.